CASH Awards for Mini National!! Our Custom Sash, a bag of Gifts and $1,000.00 CASH!! Visit Our Web site for more information on these up coming pageants and so much more!! And don't forget to sign our guest book for a chance to win a very nice prize. Congratulations to Our Oxford Winners! OXFORD ALABAMA'S ULTIMATE GRAND SUPRME SAVANNAH BROWN! CONGRATULATIONS GIRLS! ALL OF YOU DID A GREAT JOB AND SHOULD BE VERY PROUD OF YOURSELVES! RQA IS VERY PROUD OF YOU! 2008 National of the Year! Over 50 Titles To Be Won!! 1-2-3-4 CARS To Be Won! Mark Your Calendars for the 2008 National of the Year! 4 Cars To Be Won! It's our Grand Opening and we are excited to serve you with all of your Hair Needs. We have all types of Hair for all events. Our products are guranteed 100% Human Hair at an Affordable Price. We have Falls, Wiglets, Multi-colored Scrunchies, Cascade, Funky Hair Braids, Dance Buns, Cheerleading ponytails, fun headband braids, multi-colored braids and so much more. We also have in stock Styrofoam heads, Clamps and Eyelashes too. CONTACT Tammy Costello at Tammy@halosheavenlyhair.com for further questions. They will be doing the photography and video taping of the pageant. Southern Pageant Life will be taking photos for one of our upcoming issues!! ���������������������And these Fantastic hair and Make-up Vendors will be here! Tracy Reid - moonchild07081@aol.com� Tracy is also doing tanning! COME TO THE PAGEANT THAT TREATS YOU LIKE A STAR!! LOOK FOR PAPERWORK COMING SOON. Contestant party after competition Saturday evening! Everyone is a Winner at Shining Stars. Every time you step off stage on Saturday, you will receive a gift! Everyone will receive Custom Crowns & Gifts on Crowning Day! It's Almost Time for BEARY SPECIAL Natural & Glitz ... Go Sign The Guestbook to WIN fees off!! DO GLITZ, DO NATURAL OR DO BOTH!! DOUBLE THE FUN AND WIN DOUBLE THE MONEY!! It's Not Too Late To Sign The Guestbook to WIN FEES OFF!! CLICK THE BANNER & GO SIGN!! Click banner for more info! 7)Sz 12 Black lace Jovani gown with matching rhinestone necklace and earrings. NWOT's. Breathtaking! $850 + shipping. NESPAGEANTS@COX.NET with the contestant's name/age and where you are from - Mark it I want to win!!! SuperBowl Drawing - GO PATRIOTS!!!!! Ultimate grand will win Our Castle Crown, Custom Sash, Bag Of Gifts and $250.00 CASH. AT RQA we have a Grand, Mini and Queen in every age group. We believe that all of our Contestants work hard so that is why we give everyone a Crown and Bag Of Gifts just for entering!!! Custom Stage, Cash, Large Crowns, Lots of gifts, Door Prizes and so much more! So join us at these up coming preliminary pageants, See why everyone is excited about Royal Queens Of America! And don't forget our Mini National!! All of our nationals are exactly like our prelims! Need Hair and Make-up? Then Contact these Great�People! If you would like to be added to our list please email us to let us know. but we can't give you a gift if we don't that you are coming! Setting the Standard for over 20 years! Do One Pageant or Do Both! 3 x $5,000.00 Bonds To Be Won! Do 1 Pageant or Do Both!! YES You Can Win 2 Ca$h Awards - One on Each Side! No Modelling or Attire Scores! If you haven't already - please reserve your hotel room! Beary Special Room Block Expires Soon! Not 1 or 2 - but 3 x $5,000.00 to be won! Click Here & Go Sign The Beary Guestbook! a one year subscription to SUPERMODELS UNLIMITED! will be re-judged in January for the Grand Finals! GRAND OVERALL Winner *at least* $600.00!!! nationwide exposure and so much more! Once Upon A Dream to be a part of the selection process. All entries will be posted on our web site. NEED AWARD WINNING COMPOSITE OR PORT?? Order Your Comp or Port Design ~ Today!!! .......WEB DESIGN & MAINT, AND MORE!! 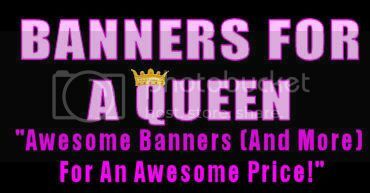 YOUR BANNER OR COMP TODAY!!! GET YOUR AD BANNER TODAY!!! Our Beary Special Gift To You! and you are GUARANTEED to win your $595 Supreme Pkg Paid! YES You Read This Correctly! and you are GUARANTEED to win your $595 Supreme Package Paid! Beary PC Ends MIDNIGHT TONIGHT!! March 28-30th - A pageant that won't cost you a fortune to enter, a pageant where it's the title you are competing for, a pageant where everyone is GENUINELY friendly and helpful and most of all the kids have fun. We really enjoyed the new NES so much and seeing so many new girls win their first crown. Watching everyone help each other, the girls making new friends, MOST people being GENUINELY friendly that we have decided that's the only kind of pageants we want to run. We have revamped AMERICA'S SWEETHEART. We have changed all our prices/categories so read the paperwork carefully. We will offer both Glitz and Natural. Unfortunately we will not have Mr Tim at the new America's Sweetheart or LaBelle but they will be at 2008/2009 NES Nationals and 2008 Miss & Mr Elegance. We are trying to reduce all costs and make this a pageant for those competing for the FUN of it. We will have the same gorgeous America's Sweetheart custom crowns, our gorgeous satin embroidered sashes, same BIG party with Justin and still all the fun and most importantly a fair and honest place to compete as you accustomed to with NES Pageants. We will have our HUGE name brand shopping table and the gifts will be top of line like you are used to receiving at NES Pageants. Siblings will still be 50% off. Why pay more for your Glitz Headshots? Just pay in advance to lock in Special Price! ALL photos will be re-judged in January for the Grand Finals! in the 2009 Once Upon A Dream inspirational calendar! You Could Be Next! Click ON Banner For More Details!!! No one does Portfolios ~ like we do Portfolios! your hometown at our State Pageant in Dothan, AL March 15th & 16th 2008! Ready For Some Christmas Fun??? Mrs. Alabama, Amanda Capps will be the Emcee, get your picture made with her! No one will go home without a Christmas Rhinestone Crown! 3 Queens and Kings in each of the 22 Age Divisions. COME WIN A $1,000.00 SAVINGS BOND, BEAUTIFUL SUSA LOGO CROWNS, BANNERS, TROPHIES, AND LOTS MORE! THE FLORIDA CHRISTMAS PAGEANT WILL BE HELD AT THE BEAUTIFUL EDGEWATER BEACH RESORT, IN PANAMA CITY BEACH, ON THANKSGIVING WEEKEND. PLAN A VACATION WITH THE FAMILY. EDGEWATER HAS GIVEN US A SPECIAL RATE FOR THE CONDOS. $69.00 AND $74.00 FOR A ONE BEDROOM CONDO. $86.00 FOR A TWO BEDROOM CONDO. THE TWO BEDROOM CONDOS HAS A KITCHEN, TWO BATHS, TWO BEDROOMS, ONE WITH DOUBLE BEDS, LIVING ROOM WITH A QUEEN PULL OUT SOFA BED. ALL AMERICAN MISS CHRISTMAS NATIONAL NEEDS CONTESTANTS!!! THE FIRST 30 TO ENTER RECEIVE A BEAUTIFUL CHRISTMAS CROWN AND GIFT ON STAGE. WE HAVE 27 CHRISTMAS CROWNS LEFT. INSTEAD OF SUPREME PACKAGE BEING $150, YOU WILL PAY $50.00 FOR THE CHRISTMAS NATIONAL FOR ALABAMA OR FLORIDA. WOW!! CHRISTMAS NATIONAL PAGEANT FOR $50.00!!! DON'T MISS THE ALABAMA OR FLORIDA CHRISTMAS NATIONALS!!!! AGG will be our last Southern Shoot this year! One Important Event You Don't Want To Miss! 5 Glitz Pageant systems at 1 time! 4 Natural Pageant systems at 1 time! 9 chances to win Fantastic titles, prizes, cash and Supreme Fees paid to 9 different 2008 Nationals! Who will fit Prince Charming's Glass Slipper? Click on our Banner to visit the NEW VIPS site. Vendors: email us today to be added to our banners. Don't miss the All American Miss Christmas National. Lots of fun and excitement! Do you have your Winter & Christmas Photos? We don�t Monkey around, we get your banners posted! NUMBERS ARE VERY LOW. WE NEED CONTESTANTS!!! ALL COMPETITION ON SATURDAY - SUNDAY CROWNING. COME WIN A $5,000.00 SAVINGS BOND, OVER 55 NATIONAL MISS SOUTHERN USA LOGO CROWNS WILL BE AWARDED! REFERRALS: ANYONE WHO REFERS 3 CONTESTANTS THAT ARE NOT ON THE MAILING LIST MAY ENTER ALL EVENTS FREE. BROTHERS & SISTERS: FIRST CHILD FULL PRICE, SECOND CHILD HALF PRICE, THIRD CHILD FREE!!! THE SUSA NATIONAL IS VERY SMALL. WE NEED CONTESTANTS! IT IS NOT TOO LATE TO ENTER!!! Photogenic, Most Beautiful, Best Dressed, Best Smile, Overalls & Grands. FREE just to represent that State. 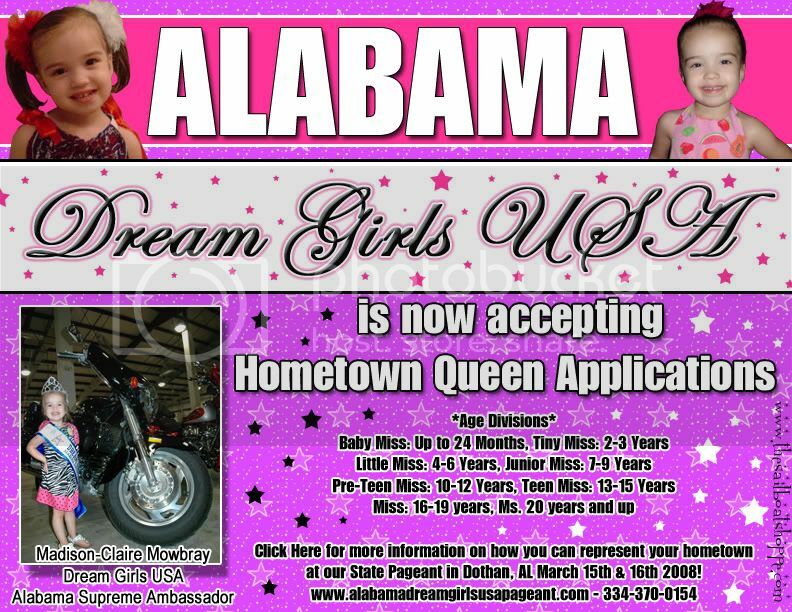 There will be a State Queen from every State represented in each age group. You may win both the State and the National Title. E-mail today for details. A Southern USA Rhinestone crown and crowning t-shirt Free. Each winning $1,000, $250 & $100 per age group!! Age Group Supreme Wins $1000!!!!! see photo contest on site for details. JUST ADDED-after much request we have added a talent and taken out the Breakfast. Changes on site. Grand Talent $500! Mini talents $250! Age talent $100! 11 Minis $250 each&l t;BR> 11 Beauty $100 each & more! Every age division grand $1000 each! Custom castle crowns!! Majestic sashes & more!! Fun Halloween Party & Trick-or-Treating! Click banner to enter the photo contest or to get paperwork for ULTIMATE SUPREME NATIONALS! I WANT TO APOLOGIZE FOR NOT POSTING OUR AMERICA'S REGAL GEMS NATIONAL WINNERS SOONER. WE HAVE BEEN EXPERIENCING COMPUTER AND WEB SITE PROBLEMS. EARLY BIRD DEADLINE IS SEPTEMBER 30, 2007. 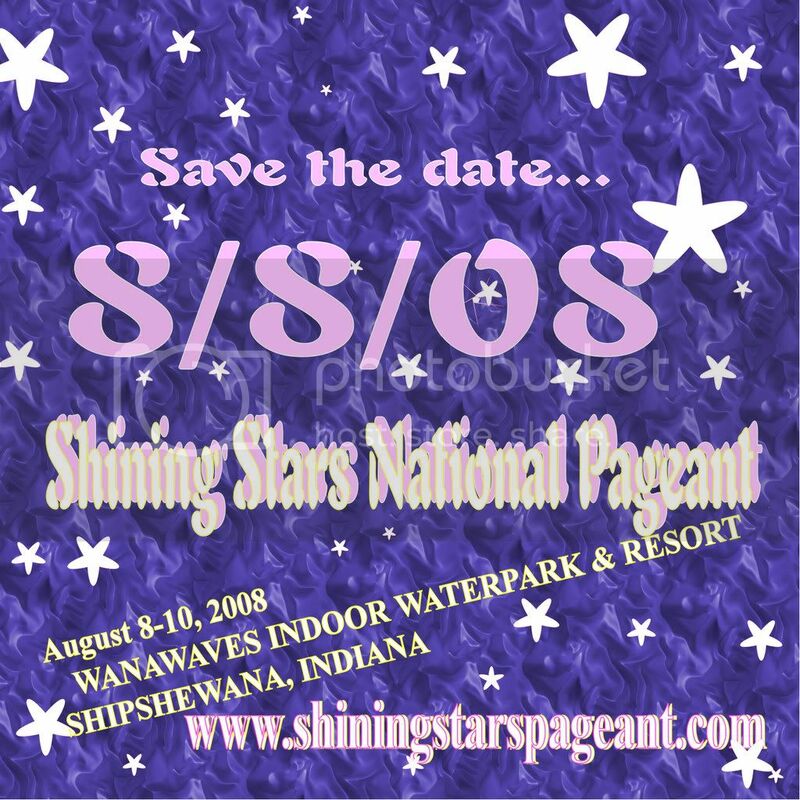 Send your application and deposit by September 30, 2007 and Supreme Package (Beauty & 2 events) is only $195. You will also receive one additional event FREE. WE WILL BE AWARDING MANY NATIONAL TITLES INCLUDING 3 GRAND SUPREME, 8 MINI SUPREME, 8 BEAUTY SUPREME AND SO MUCH MORE. JOIN US AT OUR HOLIDAY NATIONAL FOR YOUR CHANCE TO WIN ONE OF OUR FABULOUS GIANT STOCKINGS FULL OF GIFTS PRIZE PACKAGES. THIS IS A NATURAL PAGEANT. WE DO NOT PRORATE. ALL PRIZES AWARDED ON STAGE. EVERY CONTESTANT RECEIVES A NICE GIFT. WE WILL ADD MORE TITLES AND PRIZES WITH 40 OR MORE CONTESTANTS. YOU DON'T WANT TO MISS THE HOLIDAY CELEBRATION AT PERFECT PEARLS SO SEND YOUR APPLICATION TODAY. Win a Compcard a Month for a whole year! No Later than the Tuesday before the weekend you need it. NEED PICTURES? TONY OVERBY WILL HAVE A PHOTO SHOOT AT SUSA NATIONALS!! PAPERWORK MARKED SUPREME PACKAGE PAID!! Most Beautiful, Best Dressed, Best Smile, Overalls & Grands. 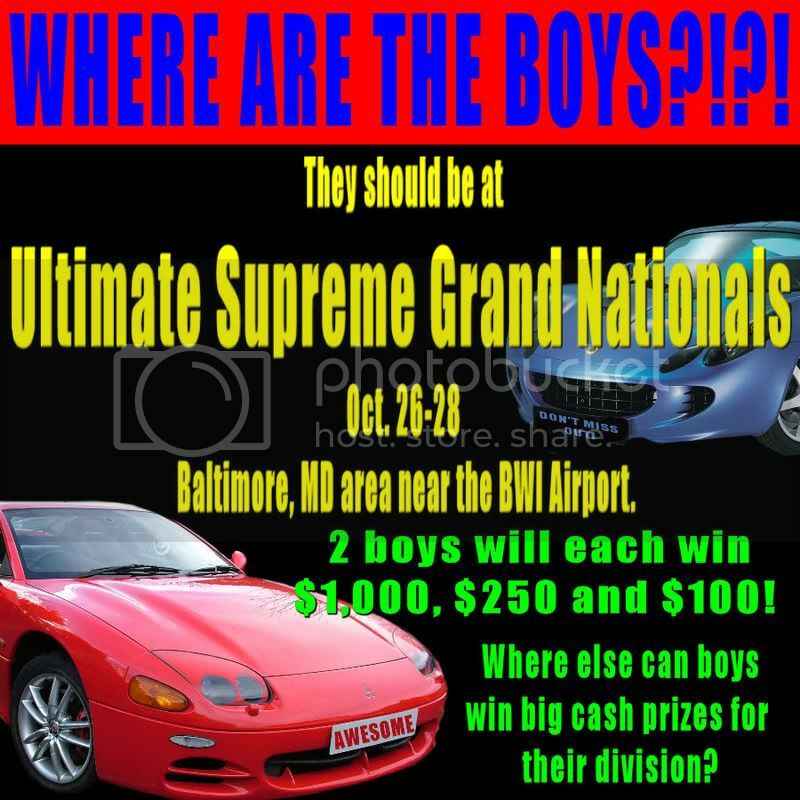 at Nationals with Supreme package FREE to represent that State. GET YOUR DEPOSIT IN TODAY! He is in the last stage of Pancreatic cancer. Danny and his Family needs your prayers. I am a firm believer in Miracles. Danny is feeling much better. COME WIN A $5,000.00 SAVINGS BOND!!! !